OKLAHOMA CITY (AP) – An Oklahoma City man has pleaded guilty to helping a wounded man who had killed two people and shot two police officers nearly two years ago. The Oklahoman reports that 36-year-old Danny Roach pleaded guilty Monday to accessory to first-degree murder and was sentenced to 15 years in prison. Court records show Roach admitted in a plea agreement that he provided medical care, clothing and ammunition to Michael Vance as Vance was fleeing police. 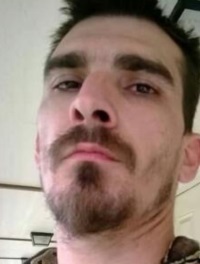 Vance went to Roach’s home Oct. 23, 2016, shortly after wounding two Wellston police officers, then killing Ronald Wilkson and Valerie Kay Wilkson in Luther. Vance was killed a week later at the end of a statewide manhunt when he was shot by an Oklahoma Highway Patrol trooper in western Oklahoma.